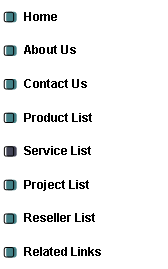 List of Services we can perform which relates to lightning, and power quality issues. We do site survey’s in Florida. We can trouble shoot all issues that are caused by lightning or other forms of power quality. $500.00 per day plus transportation cost. We do site survey’s internationally and we do have a pass port and can travel, all expenses are paid and a fee of $2500.00 per day. We do Site Surveys discreetly for third parties, like a private eye. If you have intention to buy real estate, or you suspect something. $3500.00 per day plus expenses, documentation and pictures.